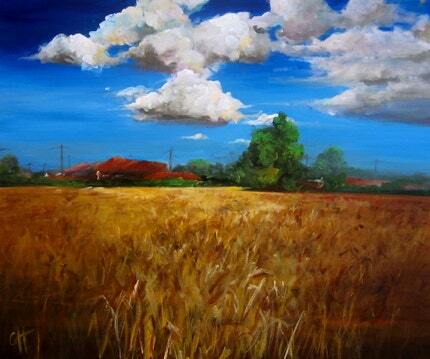 I love this wheat field by peacockgarden - a lovely landscape reminiscent of home. The clouds are pretty dreamy too. Oooh, the colors are so vibrant, those clouds look like you can almost reach out and touch them, cool!! !